Ok, to all you fashionistas out there, I apologize but just looking at this makes me sick! 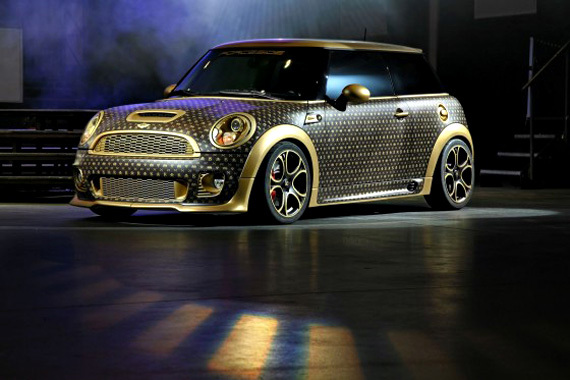 Designed by German car tuning company CoverEFX, it comes wrapped in vinyl with a design that’s reminiscent of the familiar brown and gold Louis Vuitton logo. To complete the flashy look, the designer Cooper rides a set of black and gold 17” OZ LM rims and Toyo tires. White trash with money is still white trash.